Last year’s event was so much fun, we are going to do it again! 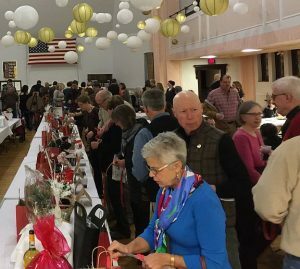 Don’t miss our 4th Annual Big HIT Beer & Wine Fest on Saturday February 9, 2019. Bring a group of friends along to the Ironwood Memorial Building for an evening of craft beers, fine wines, and gourmet hors d’oeuvres. Bid on an exciting array of silent auction items. Raffles and door prizes, too. The Ironwood Theatre opened in 1928, so to help us celebrate our 90th year, we are encouraging everyone to dress up in 1920s style for the event. Women, pull out your flapper dress, men your spats and pinstripes. While dressing in costume is not mandatory, it will add to the fun and festivities! Best of all, at the end of the evening, you will go home with that warm inner glow, knowing you’ve helped preserve our shared history through your contribution in support of our beloved Historic Ironwood Theatre.